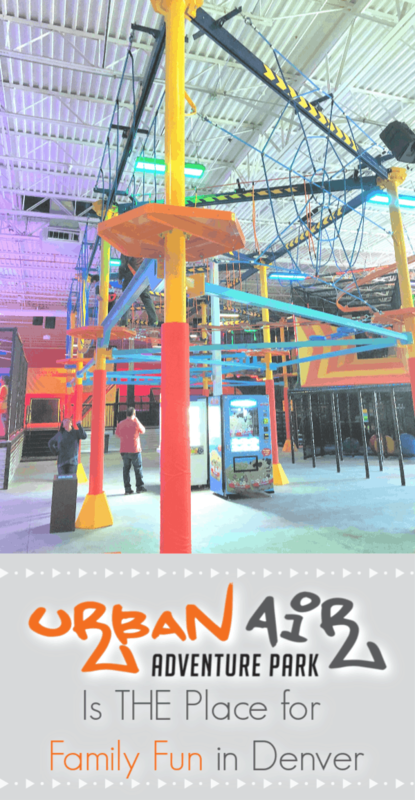 Urban Air Adventure Park is THE Place for Family Fun in Denver! Family fun, exercise, entertainment and a place to burn off that energy that our kids are always making! 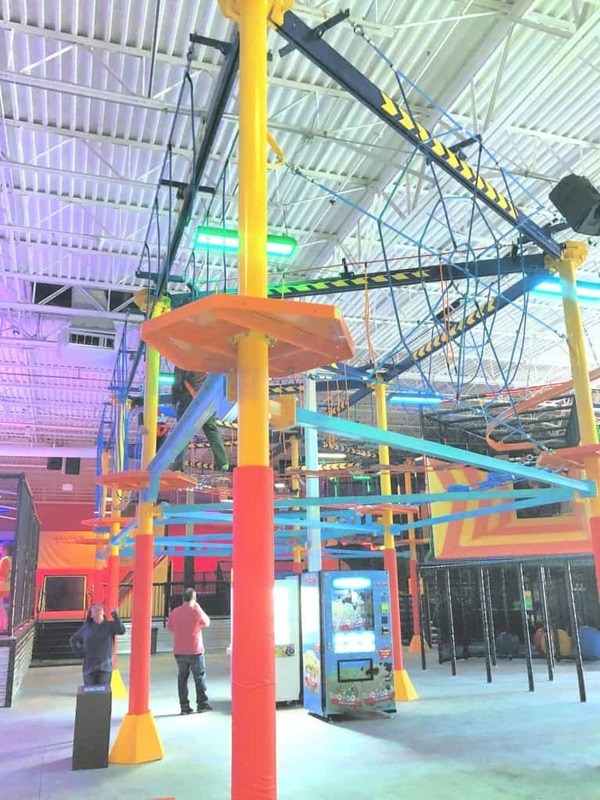 Yes, Urban Air Adventure Park can meet all those needs and more. 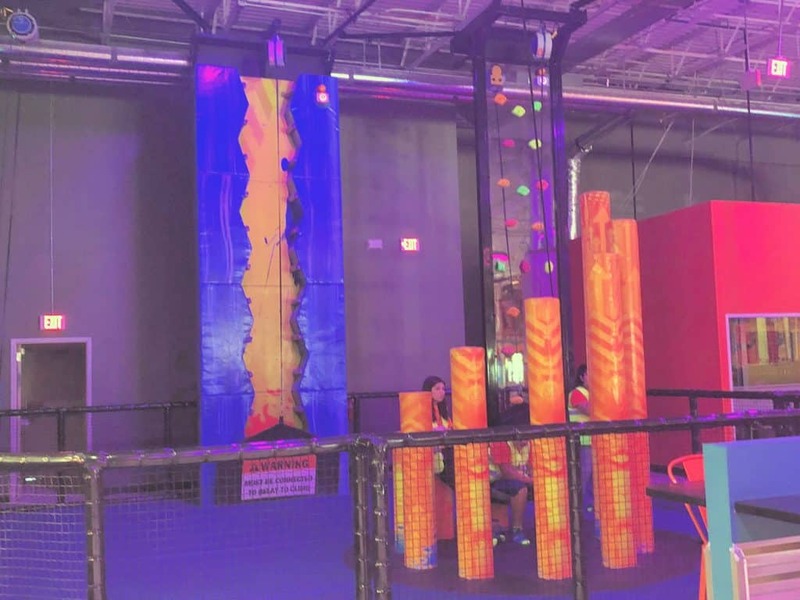 Check out why we think Urban Air is the place for family fun in Denver! Disclosure: I am partnering with Urban Air. All opinions are my own. 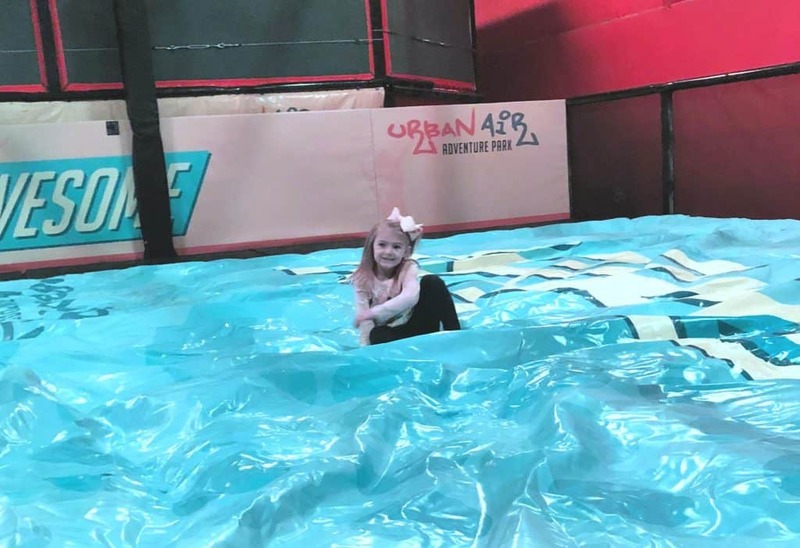 Over this winter break we have been busy bees, but one thing that I had on my list as a must do was check out the new Urban Air Adventure Park that is right in our own backyard! We loaded up and headed over to the adventure park for a day of bouncing, laughing and some serious fun exercise. We definitely accomplished all of that and more. 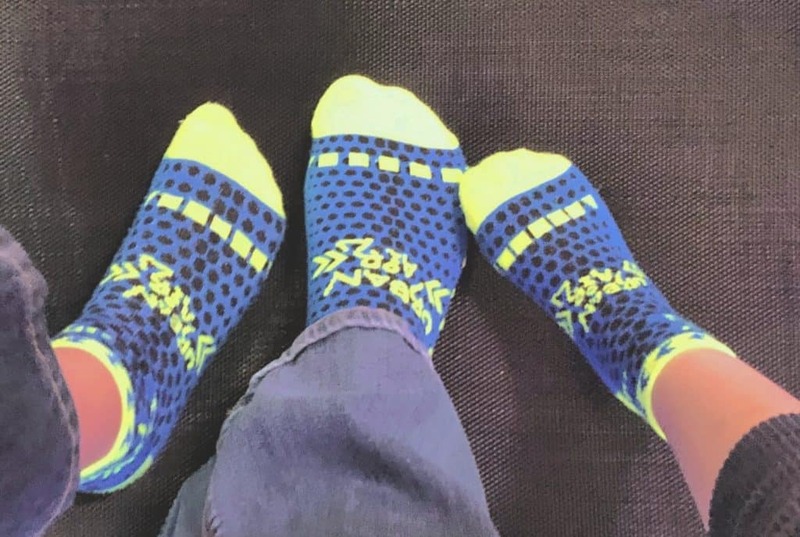 Once we signed in and payed we were given our Urban Air grip socks to rock around the park. I love that they include the required socks in their price packages for a few reasons; they are fun, they help with the cleanliness of the place and they help with safety. Socks on, we were ready to play! The kids went right towards the warrior course. We are huge fans of a show that incorporates obstacle course challenges and ninja skills, so this was of course their ideal place to start. It features a few lanes of different challenges for kids and adults to attempt and was honestly some of the hardest work I did all day. We spent a solid hour on these courses and the kids continued to keep trying to get through the course using different techniques. One thing that was super cool was that other kids were giving each other tips to get through it and the employees there were VERY attentive and helpful, while ensuring that everyone was playing safely and following rules. 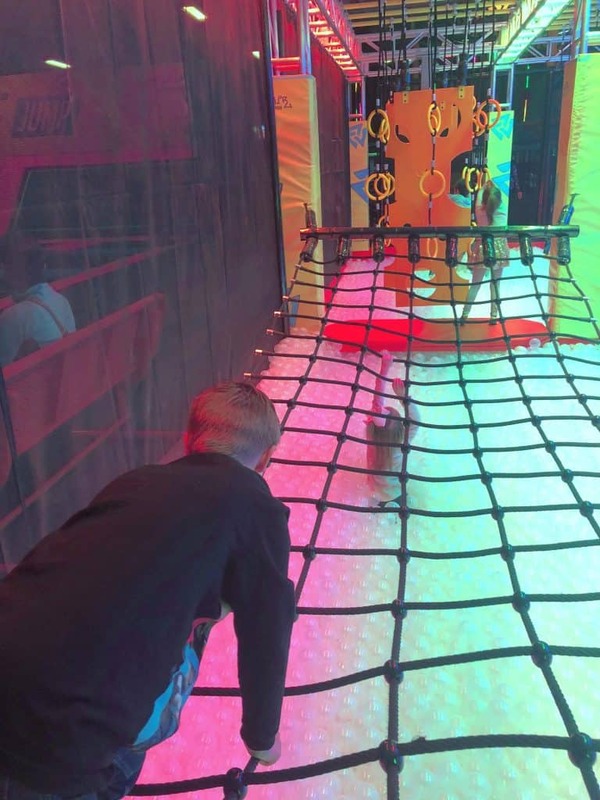 We spent the majority of the rest of our time at Urban Air Adventure Park in the tubes playground and on the trampolines. We had a blast playing hide and go seek with a ton of other families in the playground and racing down the awesome slides. 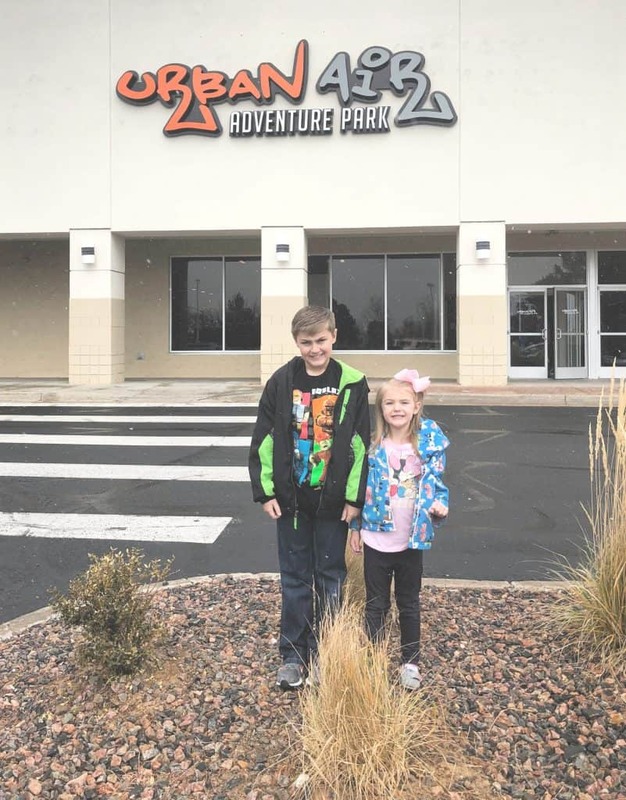 We checked out several of the other attractions in the park, but my kids definitely found the warrior course, tubes park, Drop zone and the APEX trampolines to be their favorites. I am sure as they become a bit more adventurous and we go more they will try more out. There is SO much to do in the park and hours of fun to be had. After nearly 3 hours at the park, this mom was exhausted so we packed it in and headed home. Honestly, I was a bit sore the next day, but my kids have been begging to go back and we have a pass and will definitely be going back a couple times each month. Good exercise, great activities, wonderful family friendly place and a ton of fun! 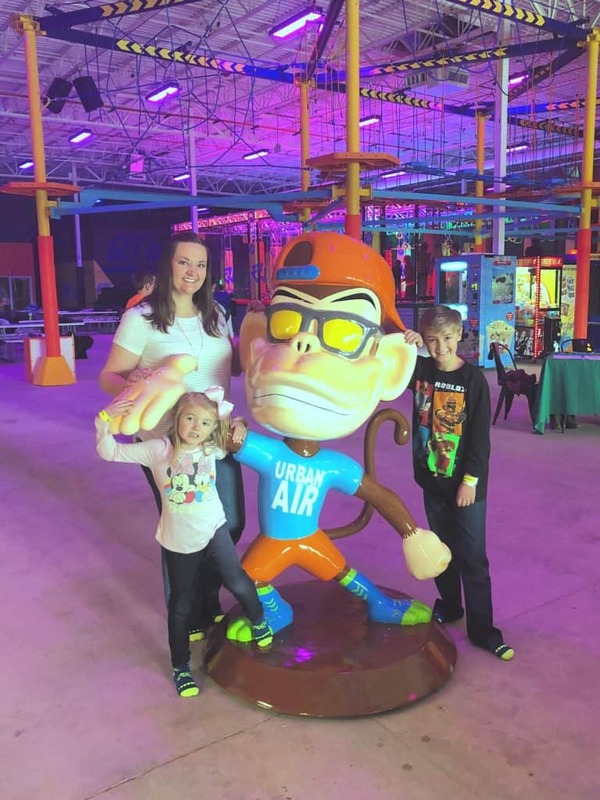 As I mentioned, there was A TON to do at Urban Air Adventure Park and we definitely did not get through all of it while we were there. 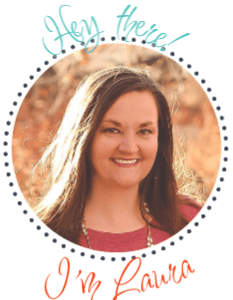 Some we missed because we just didn’t have time, others were because my kids are not quite ready for those areas. One of them was the incredible Adventure Hub. This ropes course looked to be a big hit, but my littlest was too small and my biggest is a bit afraid of heights. However, next time we go, this mom is trying out their awesome indoor SKY RIDER COASTER! It looked incredibly fun. 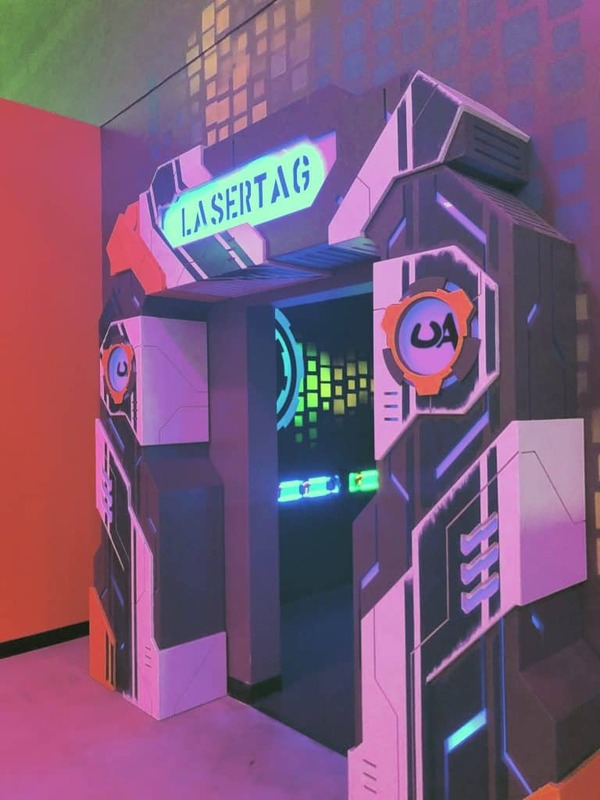 Another area was laser tag. The kids really wanted to play, but by the time we saw it, we only had about 10 minutes before we had to go, so that is on our list for next time. Finally the climbing walls looked like so much fun. Again though, the little one REALLY wanted to do this but my big guy was just not ready for it, so we passed, but I think after a few more times there, he will be all over this area too. 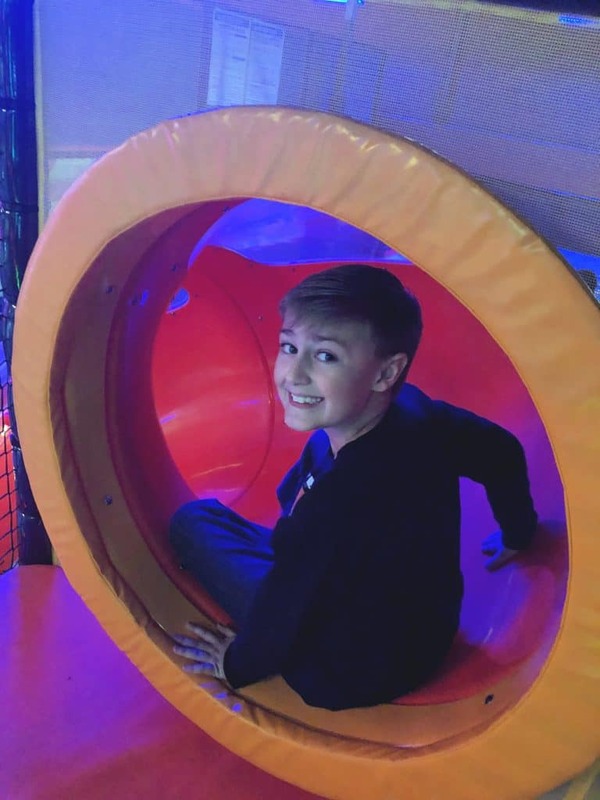 We did play some dodgeball and a hysterical game of wipeout while we were at Urban Air Adventure Park too, which I know the kids wanted more time on as well. Needless to say, our “to do” list is long for the upcoming visits! Urban Air’s newest location is open 7-days a week at the Brookhill Shopping Center in Westminster Colorado. 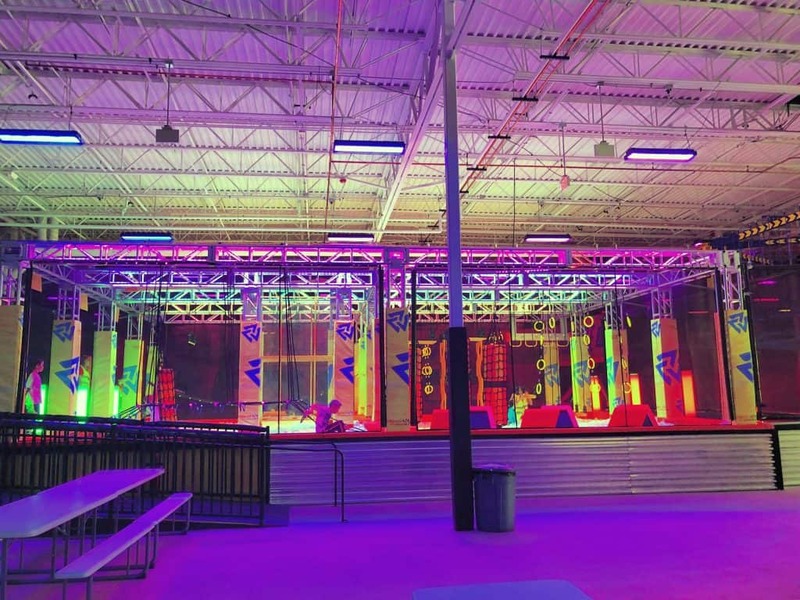 It is definitely MORE than just your typical trampoline park and we saw people of ALL ages enjoying the more than 1o attractions available. They offer awesome birthday party rooms, great entertainment, a snack bar, free wifi, and a lounge space for parents. Urban Air was also voted Best Gym in america for kids by Shape Magazine amongst many other awards. We had a great time and it was easy to see why Urban Air would have so many awards! For more information about Urban Air Adventure Park, make sure to check them out on their website or give them a call at 1-800-960-4778!